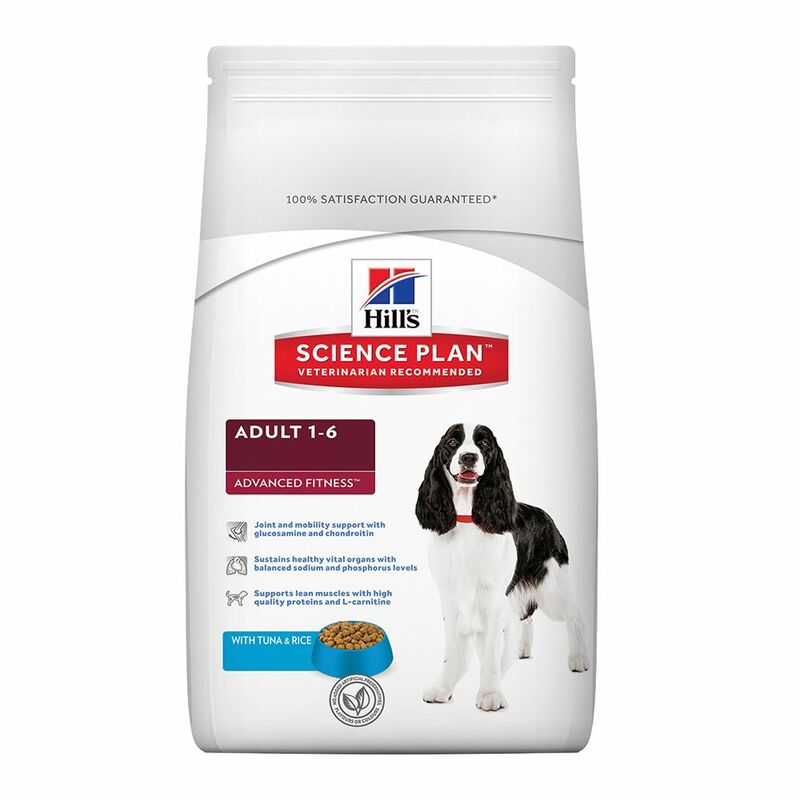 Hills science plan canine adult advanced fitness medium tuna rice contains high quality proteins to support lean muscle whilst helping to sustain healthy vital organs thanks to the balanced sodium and phosphorus levels. With clinically proven antioxidants, lean proteins and omega 3's, this feed contains highly digestible ingredients for optimal nutrient absorption. Made with high quality ingredients for great taste. 100% guaranteed.